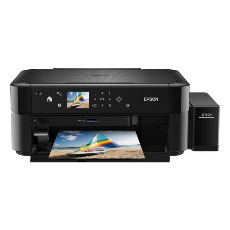 The Epson L850 Multifunction Printer is the very first A4 ITS multifunctional photo printer with 6 colors offered by the renowned manufacturer to deliver low cost printing while supporting PC less print jobs with ease. 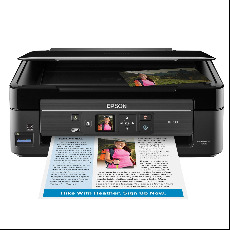 The Epson L850 Printer is a friend of the photographers as it facilitates photo printing right from microSD cards as well as cameras with the PictBridge technology. 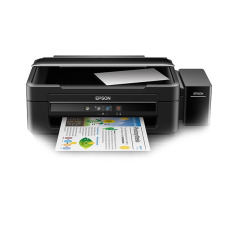 This Epson Office Printer is very useful for printing the photos taken at the studio or at an event like wedding. 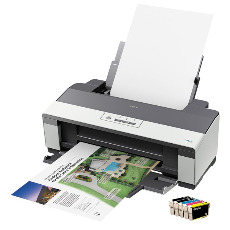 Plus, the Color Printer can perform high quality photo printing with an array of functions like the CD or DVD orienting, LCD display and scanner support. 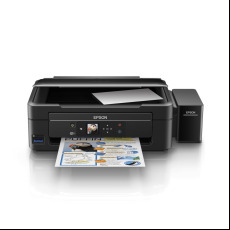 The Epson L850 Inkjet Printer has a very compact body that makes its set up very simple, an essential feature to promote productivity and to keep the downtime really low. Its purpose tank, which is built in is well integrated with the drip free nozzle to assure reliable color printing. It comes with a LCD screen that measure 6.9 cm to scan and print conveniently at the push of few buttons. 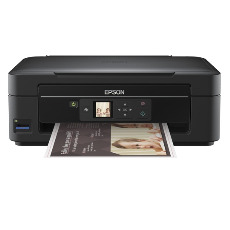 The Epson Color Printer has 9.1 kg weight and measures 196 x 386 x 542 as the dimensions. The Micro Piezo technology employed by the Epson L850 Office Printer helps it to deliver prints with uniform quality until the last printout. The photo prints with the size of 10 x 15 cm are produced at the speed of 12 seconds, to save you the trouble of waiting for the print jobs to get over. This Inkjet Printer relies on dye ink technology and variable size droplet technology to produce 1.5 PL ink droplet size when printing photos. The color printouts are offered with 38 ppm speed. The USB 2.0 of the Epson Flatbed Scanner Printer facilitates connectivity.